The purpose of the Geauga County Junior Fair is promote the interests of the youth in Geauga County through educational programs and activities at The Great Geauga County Fair. Raised with quality care, dedication and hard work by our Geauga County Junior Fair Youth! Livestock Sale - Save the Date! A scholarship is available to any Junior Fair member who has participated in the Geauga County Junior Fair Livestock Sale for a minimum of four (4) years. 4-H, Farm Bureau, GHPA, Boy Scouts, Girl Scouts and Grange. Together, they plan and organize the Junior Fair portion of the Great Geauga County Fair. 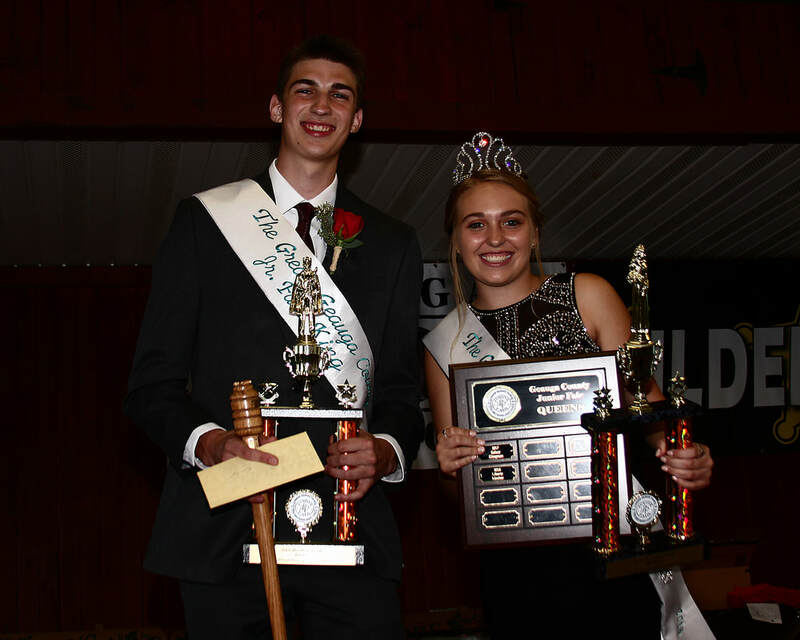 The purpose of Junior Fair Board shall be to promote the interests of Geauga County youth through educational exhibits and activities at the Great Geauga County Fair. Whenever possible, activities of the junior exhibitors shall be coordinated for the benefit of the total youth. Meetings are usually held the second Wednesday of each month at 7:30 p.m. (unless otherwise noted) on the Geauga County Fairgrounds in the Fair Board Meeting Room. To become a representative of the Junior Fair Board, a youth must be at least 14 years of age or a freshman in high school. Youth must first complete an application. Potential members then go through an interview process. Finally, the selected youth are notified and then begin a rewarding Fair experience.